Our 7 day weather forecast for Teddington updated throughout the day, making it ideal for planning leisure activities, travel and events. Read more about our weather forecasts. Our weather forecast for Teddington is updated throughout the day and has been found to be very reliable for planning activities such as days out, leisure, travel, events, fishing, golf and gardening. 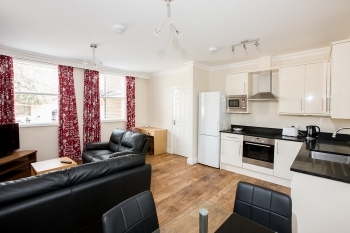 Teddington Lodge provides short-term accommodation in Studio Rooms, 1 and 2 bed apartments and 2 bed houses. Prices from £85 to £140/night include VAT, Wi-Fi, Parking and the full Sky TV Package including Sports & Movies. Teddington Lodge has been recently refurbished to a 4 star standard, with Villeroy Boch bathrooms and Shower rooms. Our rooms, apartments and Houses are furnished to a very high standard, with all necessary appliances and equipment provided. Teddington Lodge is very well located near to the centre of Teddington. Three minutes' walk to the shops, and eight minutes walk to the mainline station, which connects to Waterloo Station in approx. 35 minutes. We are also very conveniently located for Kingston, Twickenham, Hampton, and Sunbury. We are only 30 minutes drive to Heathrow Airport.